For American writer, Imperial Russian enthusiast, and veteran expatriate, Jennifer Eremeeva, this is just one of many observations about Russia, where she has lived for twenty years with “HRH” her “Handsome Russian Husband,” (although there are days when she thinks of him as her “Horrible Russian Husband”) and their daughter, Velvet. When Jennifer quits her job to write full time, she’s inspired by the grey dingy building across the courtyard, which houses a research institute dedicated to preserving Vladimir Lenin’s embalmed corpse. The result is LENIN LIVES NEXT DOOR. 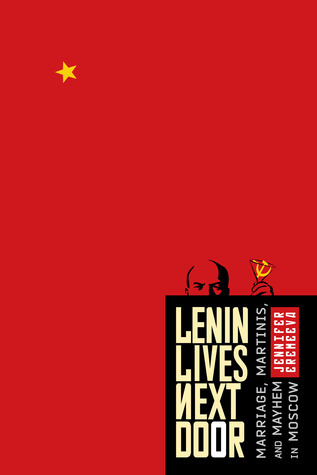 Based on Eremeeva’s two decades in Russia, LENIN LIVES NEXT DOOR knits together vignettes of cross-cultural and expatriate life with sharp observation, colorful historical background, and engaging humor. Each thematic chapter is an anecdotal exploration of an aspect of life in today’s Russia, told with the help of a recurring cast of delightful Russian and expatriate characters. LENIN LIVES NEXT DOOR introduces readers to Russians in their everyday milieux: at their dachas, in three-day traffic jams, and celebrating their 300+ public and professional holidays with mayonnaise-based salads. LENIN LIVES NEXT DOOR is Russia with just enough air let out of its tires! From a young age, Jennifer Eremeeva has been intrigued by all things Russian. In this collection of essays, Lenin Lives Next Door, she shares her passion with readers through detailed observations and descriptive quirky nuances. Beginning with her Hottie Russian Husband and ending with Jesus (Hay-Zeus) designing the new home of an elitist, Jennifer gift wraps the crazy, traffic-jammed country with intrigue and humor. Connecting with Jennifer is easier than trying to pronounce the Russian words scattered throughout this book. And trust me, I tried every single one. The fact that this book is a collection of creative nonfiction immediately sets the foundation for a connection. 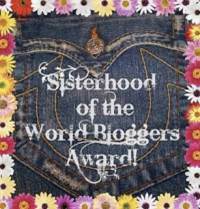 The essays detail her experiences, with some added flair and embellishment. Jennifer is incredibly smart, detail oriented, humorous, and would choose insurance over Hermes. That says a lot about character. Jennifer's writing style echos a friend telling a story over a few glasses of wine. A concept or observation is introduced, then thoroughly outlined with a perfect digression that somehow circles back to the original focus, armed with laughter and surprising details. Throughout the entire book, there wasn't a single essay that I didn't enjoy reading, I even shared a few of them with my husband. Though, Dachaphobia would definitely be deemed my favorite because I, too, now share Jennifer's fear of dachas. Good book. I read it when i found my wife. She is russian, we met each other on dating site (http://rbrides.com/) and i needed to know some thing about her homeland. I can recommend this book to all people who want to know some new facts anout this country.